As experts in valve automation, process instrumentation, steam systems and hot water systems, Mead O'Brien provides solutions to industrial companies in Missouri, Kansas, Nebraska, Iowa, Oklahoma, Arkansas, Texas Panhandle, Southern Illinois, Western Kentucky, and Southwest Indiana. 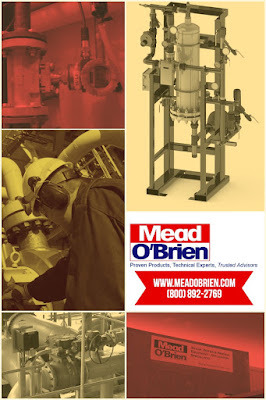 Specializing in Power, Refining, Chemical, Food & Beverage, Oil & Gas, Heavy Industrial, Water & Wastewater, and HVAC, Mead O’Brien provides it's customers outstanding products, superior customer service, a team of highly skilled technicians, and decades of application experience. These assets, in combination with their track record of successful outcomes and loyal customer base, positions Mead O'Brien as the perfect partner for all your process control equipment needs. Give Mead O'Brien a call today.